"Wild Kingdom" indeed! 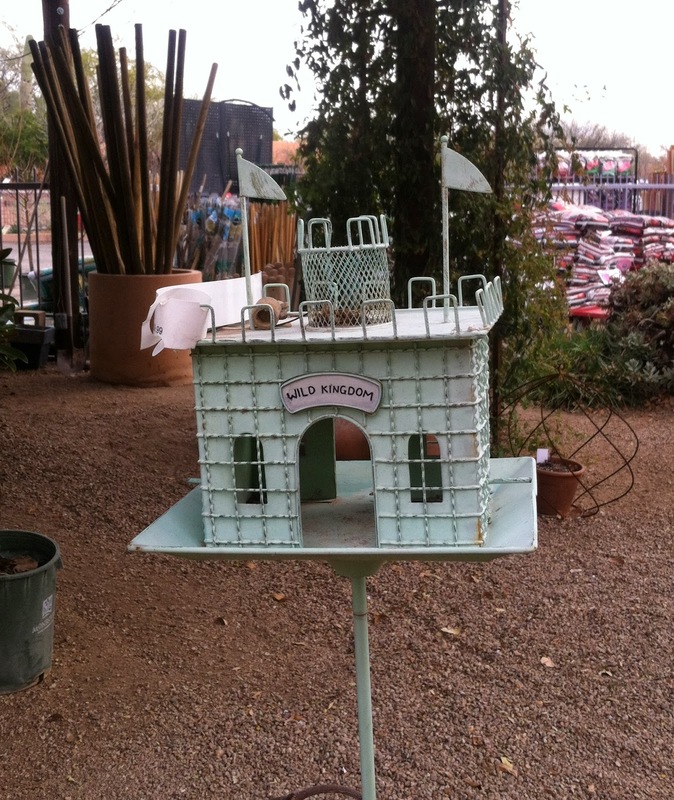 This looks like quite a grand castle for your feathered friends. And a lovely rooftop garden area, too! Hi Roseann! Nope. Much closer to you....Civano Nursery. Hi Elizabeth, I have only hummer feeders in my yard, no seeds. But I do have a cloth ball that provides birds with nesting material and that is fun to watch when they are gathering tufts to build their nests. Throwback Thursday ~ Some things never change! Tucson has a green thumb! All is revealed today - and more photos, Roseann!